Sharon Stone, 58, keeps herself busy – with her AIDS charity work and the fact that she has around five movies coming out in 2017. But there’s always time for a new boyfriend. Sharon’s last boyfriend was Argentinian model Martin Mica, who happened to be 30 years younger than she is. It was a hot romance, but Sharon lost interest after eight months because they had little in common. Now she’s seeing successful sports agent from Atlanta, Lonnie Cooper, who’s closer to her age at 62. 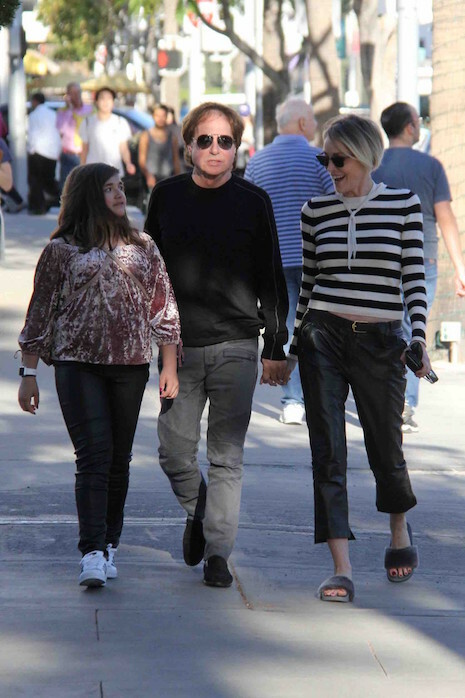 They spent Christmas in St Barts together and today Sharon and Lonnie took his daughter out for a jaunt in Beverly Hills. He must be very excited to be dating THE Sharon Stone! Amber Heard: Did Johnny Get Custody Of The Stylist?